Sepsis is a serious medical condition caused by an overwhelming immune response to infection. The body’s infection-fighting chemicals trigger widespread inflammation, which can lead to blood clots and leaky blood vessels. As a result, blood flow is impaired, depriving organs of nutrients and oxygen. In severe cases, one or more organs fail. In the worst cases, blood pressure drops, the heart weakens, and the patient spirals toward septic shock. Once this happens, multiple organs—lungs, kidneys, liver—may quickly fail, and the patient can die. Because sepsis is traditionally hard to diagnose, doctors do not always recognize the condition in its early stages. In the past, it has been unclear how quickly sepsis needs to be diagnosed and treated to provide patients with the best chance of surviving. Now we may have an answer: A large-scale clinical study, published recently in the New England Journal of Medicine , found that for every hour treatment is delayed, the odds of a patient’s survival are reduced by 4 percent. 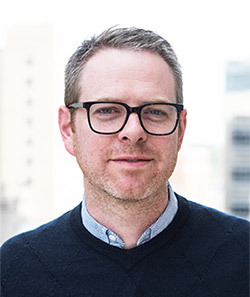 Christopher Seymour , assistant professor of critical care and emergency medicine at the University of Pittsburgh, and his team analyzed the medical records of nearly 50,000 sepsis patients at 149 clinical centers to determine whether administering the standard sepsis treatment—antibiotics and intravenously administered fluids—sooner would save more lives. I spoke with Seymour about his experience treating sepsis patients and his research on the condition, including the new study. CP: How big a public health problem is sepsis? CS: Our recent work with the Centers for Disease Control and Prevention suggests there might be as many as 2 million sepsis cases in the United States each year. I can share personally that sepsis, or septic shock, is far and away the most common life-threatening condition that I treat in the ICU (intensive care unit). It’s quite devastating, particularly among our elders, and it requires prompt care. Although the mortality rate may be decreasing, it’s still quite high. About 1 in 10 patients with sepsis don’t survive their hospital stay. Even young, healthy people can succumb from sepsis. And if you’re fortunate to survive, you can have significant problems with cognitive and physical function for many months to years down the line. Unfortunately, the incidence of sepsis may even be increasing. More patients are surviving serious illnesses that used to be fatal. They’re alive, but their health is compromised, so they are at higher risk for sepsis. Also—and this is a positive—we are seeing greater recognition and increased reporting of sepsis. Both factors probably contribute to the higher numbers of reported sepsis cases. CP: What are some of the biggest challenges in fighting sepsis? CS: The first challenge is public awareness. It’s important that the public knows the word sepsis, that they’re familiar with sepsis being a life-threatening condition that results from an infection, and that they know it can strike anyone—young, old, healthy, or sick. But it’s also important to know that not every infection is septic, nor will every cut or abrasion lead to life-threatening organ dysfunction. Another part of the problem is that sepsis is not as easy for patients to recognize as, say, myocardial infarction (heart attack). When patients clutch their chest in pain, they intuitively recognize what’s happening. Patients frequently don’t recognize that they’re septic. People should know that when they have an infection or take antibiotics as an outpatient, and they’re starting to feel worse or having other new symptoms [PDF, 147KB], they may be at risk of sepsis. They should go to the emergency department or seek medical help. The second challenge in fighting sepsis is that it’s just hard to diagnose, even for well-trained clinicians. Both issues can lead to delays in care, the most important of which is the delay in treatment with antibiotics. CP: Tell me about your recent clinical trial. What question did you set out to answer? 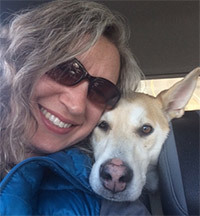 Lori Gildehaus and her lovable, mischievous dog, Charley. Credit: Lori Gildehaus. Lori Gildehaus loves her job because she’s almost always doing something different. Some days, she leads professional development sessions for undergraduate students at the University of Alaska, Fairbanks (UAF). Other days, she’s weathered down in isolated communities along Alaska’s coast while leading community science and outreach events. These activities are just a few of her many responsibilities. Gildehaus is a laboratory research and teaching technician for UAF’s Biomedical Learning and Student Training (BLaST) program. UAF’s BLaST program is one of 10 sites across the country in the Building Infrastructure Leading to Diversity (BUILD) initiative. As a component of the NIH Diversity Program Consortium, BUILD aims to find the best ways to engage and retain students from diverse backgrounds in biomedical research. Each BUILD site is as unique as the community it serves. UAF’s BLaST program embraces Alaska Native culture and the unique landscape that its students, faculty, and staff call home. UAF attracts students from across Alaska, making for a diverse student body. BLaST serves not only UAF but also seven other campuses throughout Alaska, ranging from IỊisaġvik College in Utqiaġvik (formerly Barrow) at the northern tip of the state, to the University of Alaska Southeast in Sitka, more than 1,000 miles away. In any area that large, it would be difficult to organize community science outreach and foster connections between institutions. But in Alaska, there aren’t even roads connecting most rural campuses to Fairbanks. Gildehaus and BLaST’s four other laboratory research and teaching technicians help bridge these gaps and bring science to local communities. They also serve as intermediaries between undergraduate students doing research and their professors. For undergraduates, talking to professors can be intimidating, and navigating the university landscape can be overwhelming. One of Gildehaus’ responsibilities is providing guidance to students. “We want undergraduates to have a really good opportunity to explore their interests and have a good experience on their research projects,” Gildehaus says. Gildehaus has a broad background, including biological sciences, human anatomy and physiology, science outreach, and mentoring. This experience helps her develop BLaST’s mentoring component. BLaST uses a tiered mentoring approach to provide opportunities for undergraduate and graduate students to share experiences and participate in mentoring. Gildehaus has planned three mentoring workshops for fall 2017. One of these workshops, organized with assistance from the National Research Mentoring Network , will focus on culturally aware mentoring. Another will teach attendees how to navigate conversations, share stories, and increase awareness and understanding of Alaska Native and other cultures. It’s back! 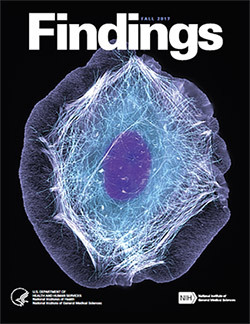 Check out the new issue of Findings magazine. Findings presents cutting-edge research from scientists in diverse biomedical fields. The articles are aimed at high school students with the goal of making science—and the people who do it—interesting and exciting, and to inspire young readers to pursue careers in biomedical research. In addition to putting a face on science, Findings offers activities such as quizzes and crossword puzzles and, in its online version, video interviews with scientists. The Fall 2017 issue profiles Yale University biologist Enrique De La Cruz, who studies how actin—a protein chain that supports cell structure—breaks so easily. Also profiled is University of California, Berkeley, biologist Rebecca Heald and her study of developmental factors that control an animal’s size. View Findings online, or order a print copy (classroom sets of up to 30 copies are available for educators). As school starts up again, we look forward to a year that further enhances health and science literacy and brings students closer to pursuing science as an exciting future career. The National Institutes of Health continues to help both educators and students toward these goals through its Science Education Partnership Award (SEPA) Program . Opportunities for students from underserved communities to learn about careers in basic or clinical research. Professional development, skills, and knowledge building for science teachers. Support for science centers and museum exhibits on health and medicine to improve community health literacy. In March 2017, SEPA found its new home with the National Institute of General Medical Sciences (NIGMS). Congress mandated the move so that SEPA could more efficiently integrate with our other institution-building and research training programs and increase collaboration opportunities between them. Spiral of Life Mural Series: Animal Evolution . Credit: Duquesne University.